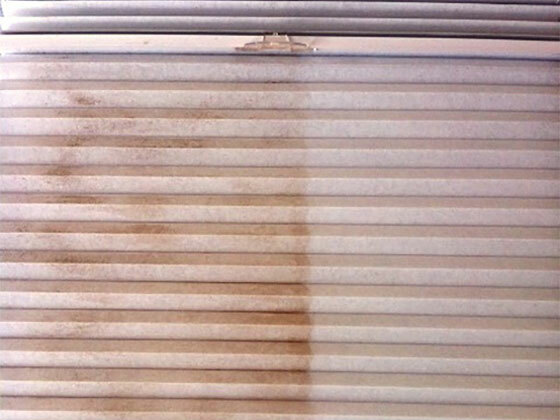 The Sound way to clean blinds! Our ultrasonic blind cleaning system causes super energy-driven sound waves to create millions of tiny bubbles, which implode on impact. These bubbles impregnate all parts of the blind or shade, gently cleaning all the hard to reach areas. In other words, the ENTIRE blind gets clean, vanes, ladders, cords, and mechanisms. This highly efficient method eliminates the possibility of damage caused by old-fashioned hand scrubbing. After the blind is cleaned, it is put through our anti-static rinse, which reduces the re-accumulation of dust, dirt and other impurities. No other process will do this!